New treatments for cancer and addiction may one day come from the bottom of the ocean. 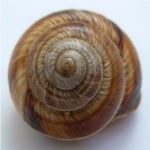 Researchers are testing and studying the medical applications of venom from cone snails, which may hold answers for detection and possible treatment of some cancers and addictions, Medical News Today reports. When most people think of snails, they visualize gooey creatures sluggishly moving across their garden beds, while in other parts of the world they are a delicacy known as Escargot. The cone snail is a mollusk, but unlike squid and octopi, it uses a venom to capture its prey. "The venom produced by these animals immobilizes prey, which can be worms, other snails and fish," said Frank Marí, Ph.D., professor in the Department of Chemistry and Biochemistry in FAU's Charles E. Schmidt College of Science at Florida Atlantic University. "The venom is an extraordinary complex mixture of compounds with medicinal properties." Marí focused his research on cone snail venom and its medical properties. Cone snail venom selectively target cells in the body and make them valuable drug leads and powerful molecular tools, according to the article. The venom is rich in alpha-conotoxins, specifically RegIIA, a compound that potently blocked the alpha3beta4 nicotinic receptor. "We investigated in detail how RegIIA interacts with the alpha3beta4 nicotinic receptors and embarked on engineering new compounds that were more specific toward alpha3beta4 receptors and not other nicotinic receptors," said Marí. "Our aim is to open new avenues for cancer and addiction research inspired on compounds from marine animals."